“Baby blues” is a common occurrence. 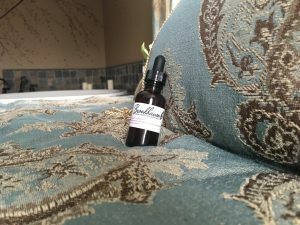 Placenta Tincture: While this process is not as well known as the encapsulated placenta it is said that placenta tincture can help balance hormones, whether postpartum, PMS, weaning, menopause, or any other time that may require emotional regulation. The tincture has a strong shelf life and can be used for years if stored in a cool dry place. The process involves submerging a piece of the placenta in high proof alcohol for several weeks then straining the placenta out, leaving a strong tincture., We recommend using 5-7 dropper fulls when needed. We offer 1oz tincture for $20.00. Placenta Prints: In addition to medicinal uses another way we honor and show gratitude for the role of the placenta is to make beautiful, artistic prints with it. 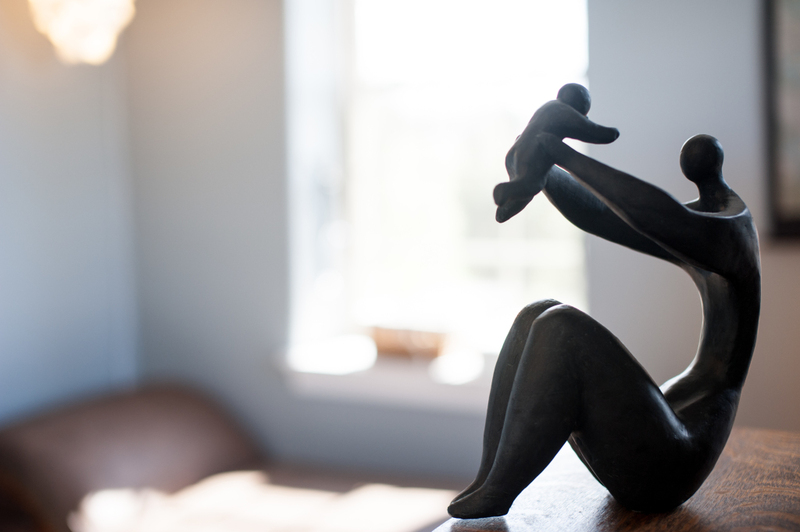 Some families frame their placenta prints, or “Tree of Life” and display as art in their homes. We offer one print on standard paper and one color of paint for $30.00. There is a $5.00 charge if you choose additional paint colors. Encapsulation: Powdered placenta has been used in Traditional Chinese Medicine for centuries. In the postpartum period, placenta capsules can be used to balance your hormones, enhance your milk supply, and increase your energy. Ideally, the placenta is encapsulated within 48 hours after the birth. For Brookhaven clients the capsules will be ready for pick up, or will be brought to your home visit within two days of your baby’s birth. For others wishing to use this service please call before your due date to get details on the process for drop off and pick up. First, we thoroughly rinse the placenta and then remove the amniotic sac and the umbilical cord. After the placenta is cleaned and lightly steamed we slice it into thin strips and put it into the oven on a low temperature for about 6 hours to dehydrate it. Once dried we put the placenta into a grinder and process it until it is a fine powder. Next we fill the capsules with the aid of a capsule filling contraption called a “cap-m-quik.” We typically get 125-200 pills per placenta. Although current research on human placentophagy does not exist, what we do know is that women who take placenta capsules report fewer emotional issues, have more energy and tend to enjoy a faster, more pleasant postpartum recovery. The first few days and weeks with your new baby are precious. Give yourself the best chance to fully enjoy your “babymoon” with placenta capsules. 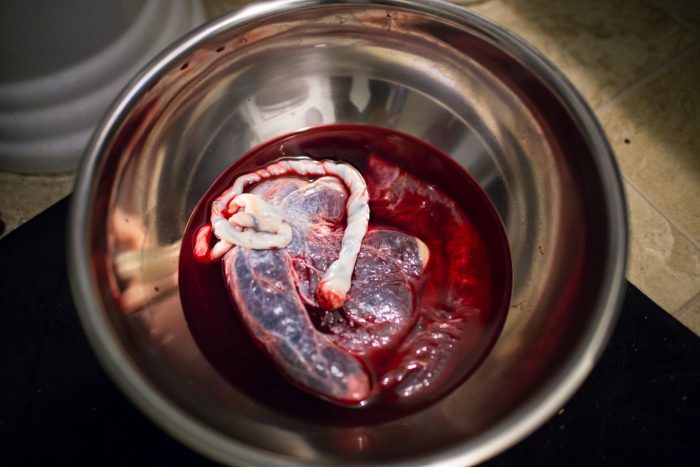 The placenta is rinsed, dried, ground and encapsulated, and when properly stored, the capsules can be used for weeks. When you have recovered from childbirth, you can even freeze the capsules and save them for menopause. 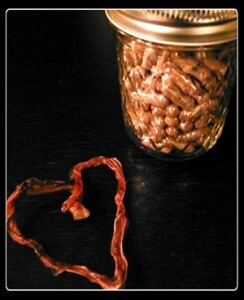 Check out PlacentaBenefits.info for more information on placenta encapsulation.